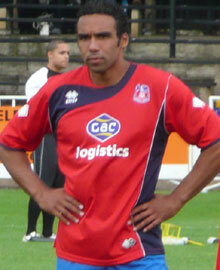 Crystal Palace duo John Oster and Paul Ifill have been released by the club. Oster, who joined the Eagles after being let go by Reading last summer, showed glimpses of quality but not enough to earn a new contract. He rejected an 18-month deal in January to sign on until the end of the season and the former Wales international admits he made the wrong decision. He said: "It's a shame that at the time I could not agree on the 18 month deal. There was a contract in place but we couldn't agree on the money for next season which was why I signed for another six months. "I've been looking for clubs for some time - it's not like I've just stumbled across this sitaution. I'd be foolish not to look for a new club - I hope to have something in place as soon as possible." Ifill had been offered a 12-month extension earlier in the campaign but turned it down and joins a list of players shown the exit door. James Scowcroft, Carl Fletcher, Scott Flinders, Ryan Carolan, James Dayton, Jamie Smith and David Wilkinson plus Second Year scholars Graeme Edwards and Kieron Thorp have been told to leave. Meanwhile, Shefki Kuqi, Alesanne N'Diaye, Rhoys Wiggins plus Second Year scholars, Michael Abnett, Nathaniel Pinney and Hakeem Adelakun have been offered new contracts.